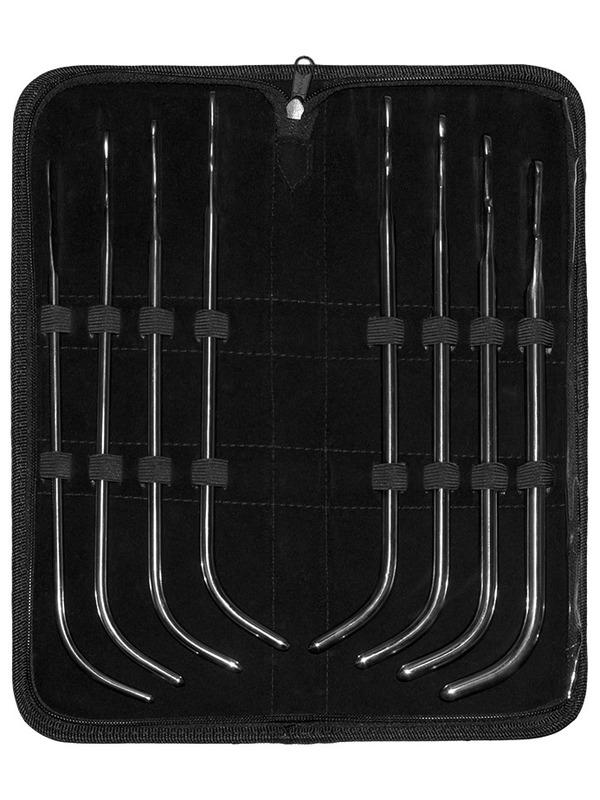 High-quality set of 8 Van Buren Dilators in a fine leather case. Van Buren sounds are J-shaped. A flat handle facilitates handling. These urethra sounds are made of highly polished stainless steel and have a tapered rounded tip.